The state of Jammu & Kashmir is all set to get road connectivity to increase mobilization and change. Prime Minister Narendra Modi inaugrated the 9 km Chennai-Nashri tunnel, the longest one in the state, also the longest highway tunnel in India to date. 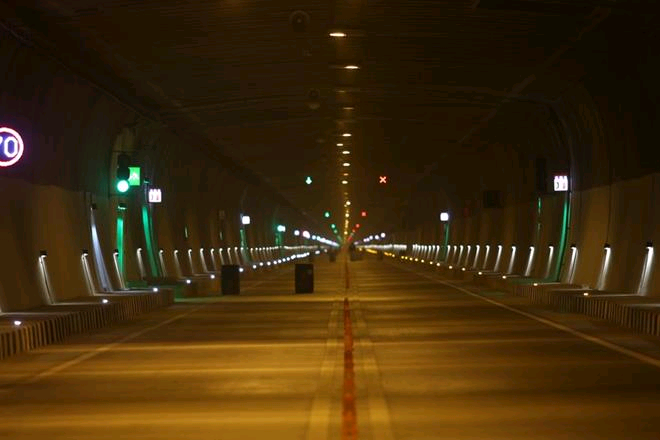 The twin tube tunnel connects Udhampur and Ramban is Asia's longest bi-directional tunnel which is also an all weather medium. The tunnel is located on one of the most difficult Himalyan terrain at a height of 1200 metres. The tunnel enables transport to cut a distance of 41 kilometres. The tunnel is connected by 29 cross passages at regular distances across it's entire length. The cross-passages can also be used for emergency exit and evacuation vehicles in case of any breakdowns or emergencies. The tunnel has a maximum permissible height of 5 metres for entry and that is measured by sensors on both ends of the tunnel. The tunnels also have inlets of fresh air on every 8 metres and an outlet exhaust every 100 metres.